With the new curriculum keen on children having a go at growing their own food, children at Rockmount are ahead of the game. 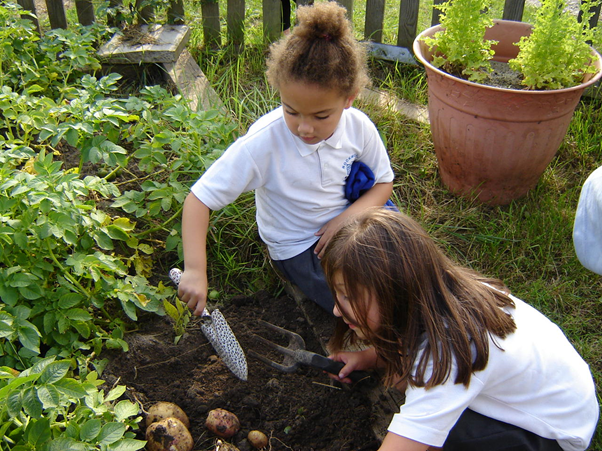 On Green Day, last year, children from different year groups planted vegetables and herbs in our many raised beds in our outdoor learning environment, ready to be harvested in the Autumn. 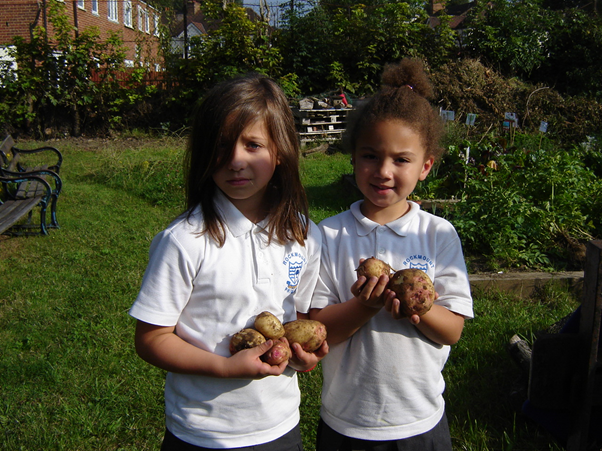 We have had a bumper crop, which children harvested and gave to the school kitchen to serve up for lunch. There is nothing better than freshly, locally grown Rockmount potatoes and chard – organic, no food miles and educational!